The World Health Organization (WHO) has issued a global alert after six cases of a virus resembling the deadly Severe Acute Respiratory Syndrome (SARS) were discovered in Saudi Arabia and Qatar. Two of the six cases confirmed by laboratories have been fatal, leading to fears of an outbreak similar to the original SARS virus in 2002-03, which killed around 10 percent of the 8,000 humans infected. “From our understanding of the virus so far, and given the enhanced surveillance that is in place, we expect to see more cases reported and confirmed,” WHO spokesman, Glen Thomas, told IRIN. “We also expect to see more cases from countries other than the two that have confirmed cases so far.” WHO scientists are trying to find out the cause of the infections, and ascertain whether the virus is moving from human to human. A study published by scientists from the Erasmus Medical Centre in Rotterdam last week found similarities between the new SARS-like virus and a virus found in bats in Saudi Arabia. An Iraq war contractor that lost an $85 million verdict to a group of sickened Oregon soldiers has filed a lawsuit seeking to force the federal government to pay the soldiers’ damages. 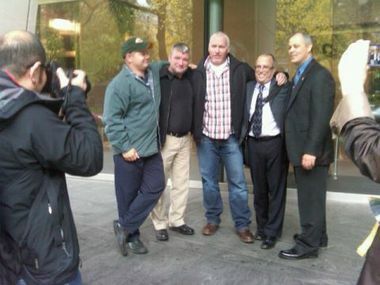 In early November, 12 Oregon National Guard soldiers won the verdict against Kellogg Brown and Root, an engineering and construction firm that helped lead the reconstruction work in post-war Iraq. The soldiers were exposed to a toxin while guarding an Iraqi water plant. In the new lawsuit, KBR also demands that the government pay more than $15 million in its attorneys’ fees. At the heart of the suit is a so-called indemnification clause that KBR alleges it agreed to with the U.S. Army Corps of Engineers in March 2003. The clause was designed to protect KBR against “unusually hazardous risks” in its work in Iraq. In a Nov. 16 filing in the U.S. Court of Federal Claims, KBR argues the clause makes the government responsible for the results of its actions in Iraq, including the Oregon verdict. KBR said in the suit that it had no insurance to cover its wartime work, and the government’s refusal to involve itself in lawsuits constitutes a breach of the indemnification agreement. KABUL, Afghanistan — For the replacement Afghan security guards, their new posting — an established traffic checkpoint in a heavily guarded Western enclave in Kabul — would seem to be a decent one, other than the fact that three of their predecessors had just been killed by a Taliban suicide bomber. The site itself told the story: the blast crater from the attack, on Wednesday, had been covered by two rows of green sandbags stacked 10 feet high, and ball bearings from the bomber’s vest pockmarked the neighboring walls. An excavator shoved dirt loosened from the blast into tidy mounds along the edges of the street, which sits a few blocks from the American Embassy in the city’s Wazir Akbar Khan neighborhood. The new arrivals, private guards who work for a foreign security contractor, forlornly bear the assignment. Among the dead were friends and co-workers, including a 36-year-old guard named Shamsuddin, a father of two, and Mohammed Homayoun, 28. The replacements are jittery, clutching their assault rifles as a supervisor stands nearby, scanning the street. The guards may well have the most thankless job in Afghanistan, serving as the first line of defense against bombings and bullets meant for Westerners and high-profile Afghan government officials. In countless cases, such private security guards are the ones killed by thwarted attacks. On Wednesday, the bomber detonated his vest after the guards demanded his identification, police officials said. 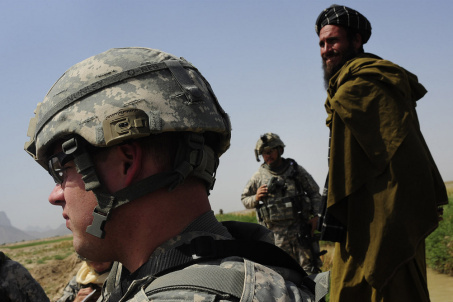 Private security companies have had a troubled and controversial history in Afghanistan. President Hamid Karzai has called for them to be banned, concerned that the armed companies, about 50 in all employing about 40,000 guards across the country, were becoming de facto militias. The president eventually made exceptions for embassies and international organizations, but required the firms to be licensed. Mr. Karzai remains committed to handing over security to Afghan government forces. The U.S. government has filed a civil lawsuit accusing a Houston-based global construction company and its Kuwaiti subcontractor of submitting nearly $50 million in inflated claims to install live-in trailers for troops during the Iraq War. The lawsuit names KBR Inc. and First Kuwaiti Trading Co., alleging they overcharged for truck, driver and crane costs, and misrepresented delays in providing around 2,250 trailers meant to replace tents used by soldiers earlier in the invasion. In one instance, the contractors allegedly claimed they paid $23,000 to lease one crane per month when the actual price was about $8,000, according to the lawsuit, which was filed this week in U.S. District Court in Rock Island, Ill., and first appeared in federal court records Tuesday. KBR, once the engineering and construction arm of Halliburton, has faced lawsuits before related to its work in Iraq. One of the most prominent involved a soldier electrocuted in his barracks shower at an Army base. That case was eventually dismissed. 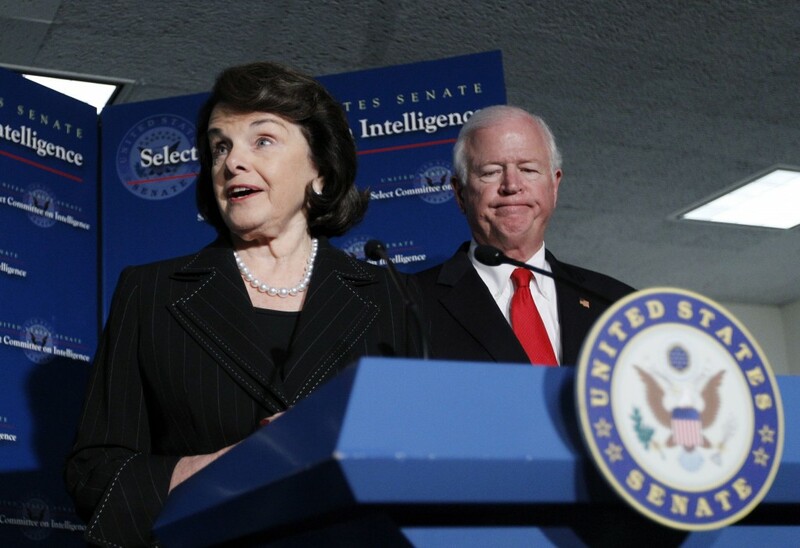 For conservatives, the Benghazi scandal is a Watergate-like presidential cover-up. For liberals, it a fabricated Republican witch-hunt. For me, Benghazi is a call to act on an enduring problem that both parties ignore. One major overlooked cause of the death of Ambassador Chris Stevens and three other Americans is we have underfunded the State Department and other civilian agencies that play a vital role in our national security. Instead of building up cadres of skilled diplomatic security guards, we have bought them from the lowest bidder, trying to acquire capacity and expertise on the cheap. Benghazi showed how vulnerable that makes us. Now, I’m not arguing that this use of contractors was the sole cause of the Benghazi tragedy, but I believe it was a primary one. Let me explain. The slapdash security that killed Stevens, technician Sean Smith and CIA guards Tyrone Woods and Glen Doherty started with a seemingly inconsequential decision by Libya’s new government. After the fall of Muammar Qaddafi, Libya’s interim government barred armed private security firms – foreign and domestic – from operating anywhere in the country. Memories of the abuses by foreign mercenaries, acting for the brutal Qaddafi regime, prompted the decision, according to State Department officials. Once the Libyans took away the private security guard option, it put enormous strain on a little-known State Department arm, the Diplomatic Security Service. This obscure agency has been responsible for protecting American diplomatic posts around the world since 1916. Though embassies have contingents of Marines, consulates and other offices do not. And the missions of Marines, in fact, are to destroy documents and protect American government secrets. It is the Diplomatic Security agents who are charged with safeguarding the lives of American diplomats. Today, roughly 900 Diplomatic Security agents guard 275 American embassies and consulates around the globe. That works out to a whopping four agents per facility. In Iraq and Afghanistan, the State Department relied on hundreds of security contractors to guard American diplomats. At times, they even hired private security guards to protect foreign leaders. After Afghan President Hamid Karzai narrowly survived a 2002 assassination attempt, the State Department hired security guards from DynCorp, a military contractor, to guard him. Their aggressiveness in and around the presidential palace, however, angered Afghan, American and European officials. As soon as Afghan guards were trained to protect Karzai, DynCorp was let go. But the State Department’s dependence on contractors for security remained. And Benghazi epitomized this Achilles’ heel. 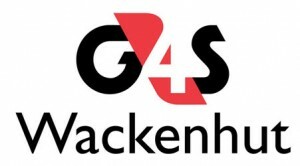 The company is now wholly-owned by foreign security firm G4S, the same company that won notoriety on 9/11 when its Argenbright Security division ran passenger checkpoints at Dulles and Newark airports where hijackers boarded planes. Its performance on 9/11 was the major political impetus Congress used to federalize all airline security and create the Transportation Security Administration. G4S was involved in a major scandal when its employees took part in bizarre hazing rituals when supposedly guarding State Department employees in Afghanistan. More recently, the company so botched security preparations for the London Olympics, the British government was forced to call in the army at the last minute. Aiken, S.C. – Tons of weapons grade plutonium and other nuclear materials, a target for terrorists, are not being properly protected by the National Nuclear Security Administration at the Department of Energy’s sprawling Savannah River Site, according to security consultants and U.S. counterintelligence officials. SRS has one of the greatest concentrations in the world of radioactive material. In one old reactor building – the K Area Material Storage (KAMS) facility – protected by the same contractors that botched security at Oakridge, there is enough weapons grade plutonium to destroy the world multiple times. Here plutonium in its purest form can be found by the ton. David Isenberg is the author of the book Shadow Force: Private Security Contractors in Iraq and blogs at The PMSC Observer. He is a senior analyst at Wikistrat and a Navy veteran. While it’s only one among many factors bedeviling Afghanistan, its substantial private-security contracting industry warrants attention. It’s made up of tens of thousands of Afghan employees, mostly armed guards. Bear in mind that 2014 is the deadline for Afghanistan assuming responsibility for its own security. This is a date the whole world has an interest in because either Afghanistan will be a more or less stable country — or it will lapse back into the chaotic and destabilized state it was after the Soviets left in 1989. We all recall how that turned out. The Afghan government and the U.S.-led International Security Assistance Force (ISAF) are transferring private security company (PSC) operations to the Afghan Public Protection Force (APPF), a new Afghan government force. But substantial uncertainty, to put it politely, and skepticism — to put it more bluntly – persists over APPF’s ability to handle the job. Even more importantly, how it plans to absorb the commanders and former fighters who currently provide the bulk of PSC workforces. WASHINGTON — David H. Petraeus, the director of the Central Intelligence Agency, resigned on Friday after issuing a statement saying that he had engaged in an extramarital affair. The sudden development came just days after President Obama won re-election to a second term. Mr. Petraeus, a highly decorated general who had led the wars in Iraq and Afghanistan, had been expected to remain in the president’s administration. 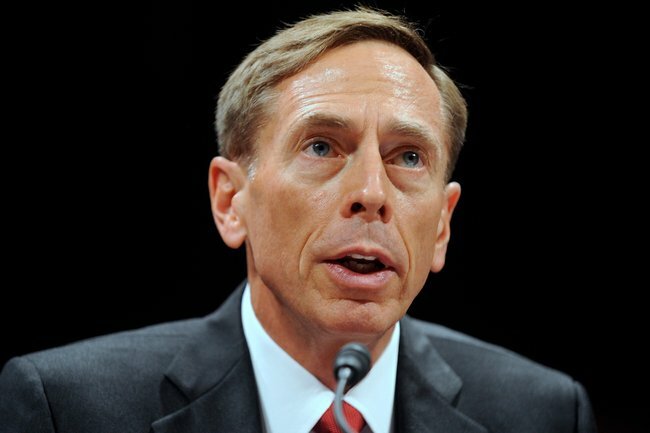 Instead, Mr. Petraeus said in the statement that the president accepted his resignation on Friday after he had informed him of his indiscretion a day earlier. The SBMA spot report showed that the tanker was carrying some 189,500 liters of domestic waste and about 760 liters of bilge water (a combination of water, oil and grease), all of which were hauled from Emory Land, a US Navy ship. The United States Navy contractor accused of dumping hazardous waste into Subic Bay last month is not covered by the Visiting Forces Agreement between the US and the Philippines, the Department of Foreign Affairs said on Friday. 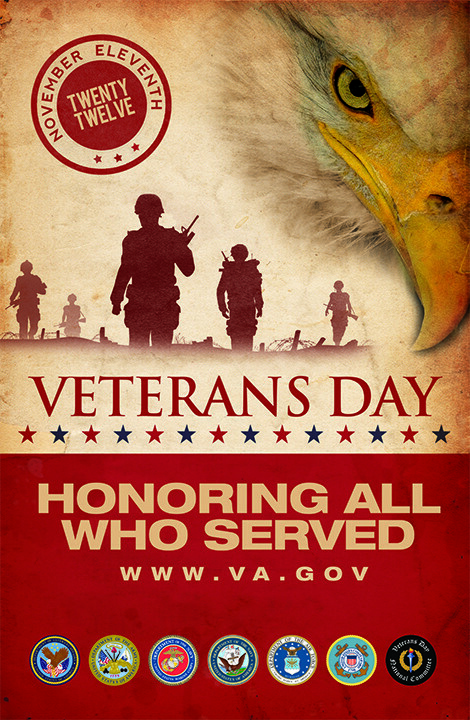 “The VFA only covers US military personnel and US civilian personnel who are individuals employed by the US Armed Forces or those that accompany them such as employees of the American Red Cross and United Services Organization,” said Assistant Secretary Raul Hernandez, the DFA spokesperson. “Since Glenn Defense Marine Asia Philippines Inc. cannot be considered US personnel, clearly its acts as third-party contractors are not covered by the VFA,” Hernandez said. The VFA, the 1999 agreement that provides the framework for regulating the presence of US military forces and equipment in the Philippines, allows the US government to retain jurisdiction over US military personnel accused of committing crimes in the Philippines, unless the crimes are of “particular” importance to the Philippines. The debate over this controversial aspect of the VFA—which many Filipinos see as one-sided and an affront to the sovereignty of the Philippines—has come into play once again after the Malaysia-based US Navy contractor accused by the Subic Bay Metropolitan Authority (SBMA) of dumping toxic waste in its waters invoked the protection of the VFA. Glenn Defense Marine Asia Phil., through its politically influential law firm, Villaraza, Cruz, Marcelo and Angangco, when confronted with a “show-cause” letter by the SBMA to explain its illegal acts cheekily replied that the Presidential Commission on the Visiting Forces Agreement (VFACOM), not the government agency that administers the free port, had jurisdiction over it. The Inquirer reported on Friday that the SBMA was investigating the US Navy contractor for allegedly dumping untreated toxic and hazardous waste on Subic Bay last month. The waste was reportedly dumped by the tanker Glenn Guardian, a vessel owned by Glenn Defense, which reportedly collected the waste from US ships that participated in recently concluded joint military exercises in the country. Hernandez pointed to Article I of the VFA, which defines the term “military personnel” and “civilian personnel” covered by the agreement, as referring only to individuals employed by the US military and those accompanying them. A Portland jury found defense contractor KBR Inc. was negligent, but did not commit fraud against a dozen Oregon Army National Guard soldiers who sued the company for its conduct in Iraq nine years ago. Magistrate Judge Paul Papak announced the decision about 3:35 p.m. the U.S. Courthouse in Portland. 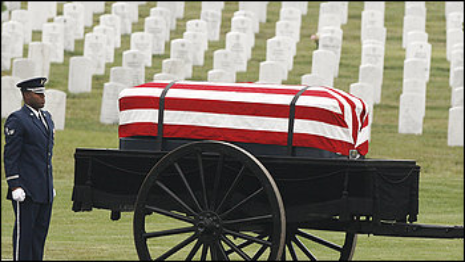 Each soldier was awarded $850,000 in non-economic damages and $6.25 million in punitive damages. “It’s a little bit of justice,” said Guard veteran Jason Arnold, moments after the verdict was announced Friday afternoon. Arnold was one of four of the soldier-plaintiffs in the courtroom was the verdict was read. The verdict should send an important message to those who rely on military troops, he said. KBR’s lead attorney, Geoffrey Harrison, said the company will appeal. Harrison said the soldiers’ lawyers produced a medical expert, Dr. Arch Carson, who offered “unsupported, untested medical opinions” that each soldier had suffered invisible, cellular-level injuries as a result of their exposure to hexavalent chromium. The verdict means the jury did not hear clear and convincing evidence that KBR intended to deceive the soldiers in the way it operated at the Qarmat Ali water treatment plant, near Basra, Iraq. But they did find that the company failed to meet its obligations in managing the work at the plant. Friday’s verdict closes the first phase of a web of litigation between National Guard and British troops against KBR Inc., the defense contractor they accuse of knowingly exposing them in 2003 to a carcinogen at Qarmat Ali. KBR has denied the accusations. In Oregon another set of Oregon soldiers are waiting in the wings for their day in court. Magistrate Judge Paul Papak and the attorneys agreed earlier to hold an initial trial with the first 12 soldiers, in order to keep the proceedings from becoming too unwieldy. A second trial, featuring all or some of the remaining 21 plaintiffs, could begin in federal court in Portland this winter. Another lawsuit brought by Indiana soldiers against KBR is on hold in federal court in Texas, while an appeals court considers a jurisdictional issue. The cases stem from the chaotic aftermath of the U.S.-led invasion of Iraq in March 2003. The Army Corps of Engineers hired KBR Inc. to run a massive program called Restore Iraqi Oil. The program involved dozens of sites throughout Iraq — sites that neither the Army nor KBR had visited before the invasion. The project was intended to quickly restore the flow of Iraq’s oil, partly to fund the war. The Pentagon remembered the way Saddam Hussein had lit the fields on fire during the first Gulf War, and feared a repeat in 2003. Iraq’s Southern Oil Co. took delivery of sodium dichromate, an orange-yellow crystalline powder, in bags that were stored on site. Soldiers and others testified that the material was loose and drifting around the site, and had contaminated areas even outside the chemical injection building where it was added to the water. How contaminated was it? Accounts differ. Even one of the plaintiffs in this case said he didn’t notice any soil discoloration. One of the British soldiers whose testimony was prerecorded said it was everywhere. Another Oregon soldier said it settled heavily on the clothing of the soldiers, who unwittingly carried it back to their camps over the border in Kuwait. Much of KBR’s defense in the first Oregon trial focused on just how unlikely it was that any soldier — who visited the plant at durations from one day to 21 days — could have been exposed to dangerously high levels of sodium dichromate. But one of the most gripping portions of the testimony was when Oregon veteran Larry Roberta described eating a chicken patty that had been coated with the orange crystals, which he said immediately burned in his esophagus, causing him to vomit. Roberta now is confined to a wheelchair and takes oxygen from a tank in his backpack. He had a history of gastrointestinal issues, but attributes much of his poor health to his time at Qarmat Ali. Harrison, KBR’s lawyer, said the company “believes in the judicial process and respects the efforts and time of the jurors,” but believes the process that brought the case to conclusion Friday shouldn’t have been allowed to come so far. 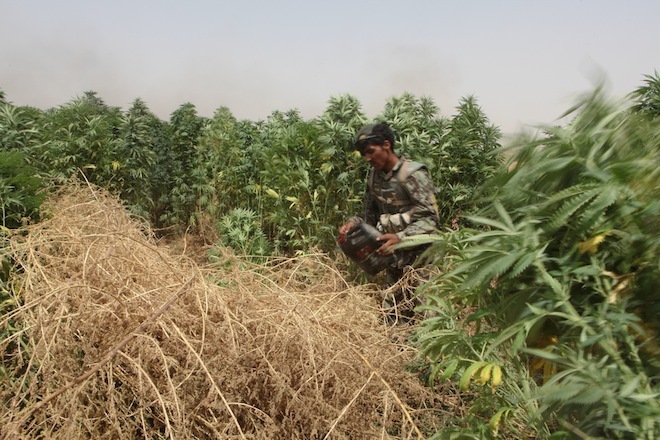 Just days after an inspector general report revealed that a giant Pentagon contractor performed “unsatisfactory” work in Afghanistan, the U.S. Air Force awarded the firm another multimillion-dollar pot of cash. Virginia’s DynCorp, which performs everything from private security to construction for the U.S. military, has re-upped with Air Force to help pilots learn basic flying skills on the T-6A/B Texan II aircraft, a training plane. The deal is only the latest between DynCorp and the Air Force on the Texan II: In June, the Air Force Materiel Command gave the company a deal worth nearly $55 million for training services. The latest one, announced late Thursday, is worth another $72.8 million, and lasts through October 2013. A DynCorp spokeswoman, Ashley Burke, told Bloomberg News that the company disputed the special inspector general’s findings. For its part, the special inspector general took to tweeting photographs of what it called “DynCorp’s failed work at #Afghan #Army Base in #Kunduz. The United States has filed a complaint against a Virginia-based contractor alleging that the company submitted false claims for unqualified security guards under a contract to provide security in Iraq, the Justice Department announced today. The company, Triple Canopy Inc. is headquartered in Reston, Va. In June 2009, the Joint Contracting Command in Iraq/Afghanistan (JCC-I/A) awarded Triple Canopy a one-year, $10 million contract to perform a variety of security services at Al Asad Airbase – the second largest air base in Iraq. The multi-national JCC-I/A was established by U.S. Central Command in November 2004, to provide contracting support related to the government’s relief and reconstruction efforts in Iraq. The government’s complaint alleges that Triple Canopy knowingly billed the United States for hundreds of foreign nationals it hired as security guards who could not meet firearms proficiency tests established by the Army and required under the contract. The tests ensure that security guards hired to protect U.S. and allied personnel are capable of firing their AK-47 assault rifles and other weapons safely and accurately. The government also alleges that Triple Canopy’s managers in Iraq falsified test scorecards as a cover up to induce the government to pay for the unqualified guards, and that Triple Canopy continued to bill the government even after high-level officials at the company’s headquarters had been alerted to the misconduct. The complaint further alleges that Triple Canopy used the false qualification records in an attempt to persuade the JCC-I/A to award the company a second year of security work at the Al Asad Airbase. “We will not tolerate government contractors anywhere in the world who seek to defraud the United States through deliberate or reckless conduct that violates contractual requirements and risks the security of government personnel,” said Neil H. MacBride, U.S. Attorney for the Eastern District of Virginia. The government’s claims are based on a whistleblower suit initially filed by a former employee of Triple Canopy in 2011. The suit was filed under the qui tam, or whistleblower, provision of the False Claims Act, which allows private persons to file suit on behalf of the United States. Under the act, the government has a period of time to investigate the allegations and decide whether to intervene in the action or to decline intervention and allow the whistleblower to go forward alone. This matter was investigated by the U.S. Attorney’s Office for the Eastern District of Virginia; the Commercial Litigation Branch of the Justice Department’s Civil Division; and the Army Criminal Investigative Command (CID) and Defense Criminal Investigative Service (DCIS) of the Department of Defense. The claims asserted against Triple Canopy are allegations only; there has been no determination of liability. The government is not aware of any injuries that occurred as a result of the alleged misconduct. The lawsuit was filed in the U.S. District Court for the Eastern District of Virginia in Alexandria, and is captioned United States ex rel. Badr v. Triple Canopy, Inc.
WASHINGTON — The security guards at a nuclear weapons plant who failed to stop an 82-year-old nun from reaching a bomb fuel storage building earlier this year were also cheating on a recertification exam, according to an internal investigation by the Department of Energy, which owns the weapons plant. A federal security official sent the exam by encrypted e-mail to “trusted agents” at the management contractor, B&W, but did not instruct those executives to keep it secret from the people who would have to take it, according to the report. The government found out about the cheating only because an inspector visiting the plant noticed a copy of an exam on the seat of a patrol vehicle the day before guards were to take it. The security contractor was Wackenhut, but its contract was terminated after a security breach on July 28, when the nun, Sister Megan Gillespie Rice, and two accomplices cut through three layers of fence, splashed blood on a building housing bomb-grade uranium, performed a Christian ritual and then waited to be apprehended. A subsequent investigation found that many security cameras had been disabled long before the break-in.